Does your processing floor have puddles, low spots or birdbaths? Are you replacing or moving your floor drains, or re-locating into an existing building with flat floors? In order to provide effective drainage, a floor must be sloped to the drain at a tolerance of 1% to 2% grade. A high strength polymer concrete underlayment can be a cost effective alternative to demolition and removal of the existing concrete slab. The slope to drain underlayment is often less than $8 per square foot, for a typical 5000 square foot project. EPF slope to drains flooring can same time and money for renovation projects. EPF is a vertically integrally flooring company. We specialize in food processing floors and beverage flooring. EPF has provided cost effective solutions for sloping existing concrete floors and elimination of puddles for over 30 years. By controlling all aspects of your flooring project, we ensure quality at all steps of the project. Our services include expert concrete floor consulting, specification assistance, materials, installation, and exclusive 5 year EPF warranty. 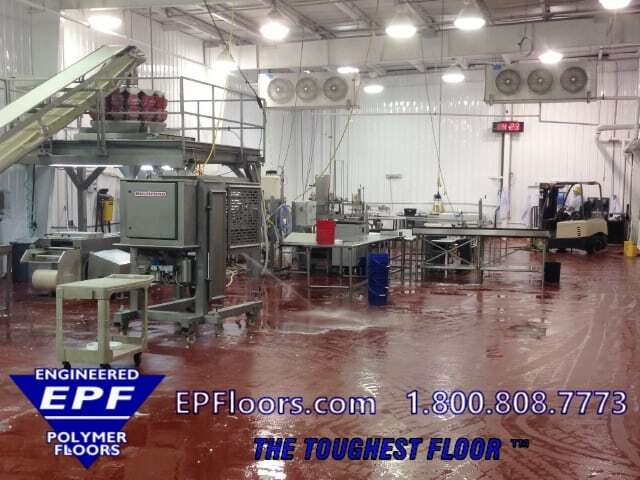 EPF slope to drains flooring helps ensure sanitary conditions and proper drainage for food manufacturing floors. In wash down areas, floors must be sloped properly in order to prevent puddles to comply with food audit inspections and quality control programs. What Does the Slope to Drains Flooring Process Include? Since EPF is vertically integrated, we can manage all aspects of your slope to drains flooring project. This includes expert consulting, specification assistance, manufacturing of materials and installation with our own crews. We provide slope to drain consulting including assistance with floor drain layout and spacing, floor drainage plan, elevation calculations, and more! EPF performs the necessary surface prep of the existing floor. Next, our bonded cementitious polymer underlayment is graded at the specified slope. Finally, 1/4 inch thick PUMA-CRETE® urethane mortar flooring is applied as the final layer. The complete system provides a long lasting floor which drains properly. It is sanitary, chemical and slip resistant. We can also install trench drains, slabs, curbs and more. Birdbaths can be filled level, using high strength urethane grout. This will raise the low spots, and reduce (but not eliminate) puddling in the overall floor. The depth of the puddles will be reduced, and some puddles may be eliminated. The perimeter edges of the "patched" spots will be visible. Installing more drains decreases the distance that water needs to be moved, to get it to the drains. This is effective for wide open areas, that can be cleared of equipment. This option can guarantee proper drainage throughout the entire room or areas. The cementitious polymer grout is sloped to the drainage pattern required. Next, a finish (urethane mortar topping) is applied over the slope to drain underlayment, at 1/4 inch thickness, to complete the system. Note that this shall increase the height of your floor, at the perimeter edges of the room/area. For example, at 1/4 inch per foot, this adds 2.5 inch to the perimeter height for every 10 feet from the drain. This means that doorways leading outside the room/area will require ramping down outside the room, due to elevation changes. EPF can help with the design and installation of these transitions, to minimize impact for traffic in/out of the areas. This sloping option typically adds 75-100% to the cost of a PUMA-CRETE® floor project, and a minimum of one day. However, this option is usually more cost effective (and faster) than complete removal and replacement of the entire slab (see option #4). NOTE:  sloping must be performed BEFORE the new topping is installed. Once a new finish/topping has been installed, the cost for corrective measures will increase by a factor of 2 to 3 times. This option requires extensive noisy heavy demolition, is time consuming, and is usually the most expensive option;  for existing production areas, the downtime alone can exceed the cost of the work, when factoring in lost production costs. Excavation and removal operations can open up a "can of worms" underneath, with potential damage to existing sub-slab utility lines and plumbing, soil contamination, etc. This option also requires re-installation of all new drains, adding even more to the total cost. What if Slope to Drains Flooring is Not Specified for My Project? Unless a floor section is specified to be sloped to drains, resinous flooring always follow the general contour of the substrate it is applied on. Prep and profile the concrete in all areas less than 2 inches thickness. Apply acrylic latex bonding agent. Apply 5,000 psi polymer concrete grout, at a slope consistent with the customer’s requirements. Saw cut control joints into the slab. Apply PUMA-CRETE® urethane mortar overlayment (typically at 1/4 inch thickness). Saw-cut and fill expansion joints in new overlayment with polyurea sealant, to allow movement at building expansion joints. For up to 2,000 sq ft, a complete turnaround on grading a floor to drains can often be accomplished over a 3 day period. For larger areas, contact one of our flooring consultants, for a project evaluation and estimated timeline. Various types of industrial flooring and poured flooring are used in manufacturing plants. Epoxy and urethane systems come have been used extensively over the years. Here is a comparison of food processing floor options. Epoxy flooring materials have now mostly been replaced by urethane flooring. Urethane concrete mortar floors have become the “go to” material when companies are looking for seamless flooring. Cementitious polymer floors may also be used as underlayments, for high strength slope to drains flooring. 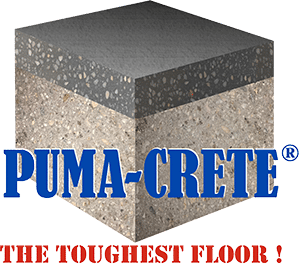 PUMA-CRETE® flooring is well suited for processing areas, warehouses, coolers and any area where food or beverage products are processed or stored. It is USDA approved flooring, meets GFSI guidelines for SQF flooring. PUMA-CRETE® assists in compliance with FDA and FSMA, as well as HACCP regulations. It also meets IFS, FSSC 22000 and BRC requirements. PUMA-CRETE® is suitable for use in clean rooms. EPF carefully controls all steps of the installation process, for sloping existing concrete floors to drains projects. Each customer is assigned a dedicated project team, which includes a project manager, site manager, team leader and 6-12 flooring technicians. 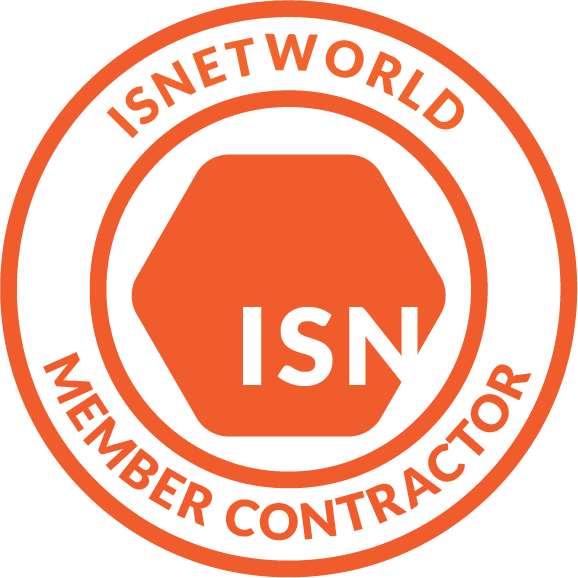 Each step of the installation process is quality controlled, by following time tested checklists for your project. This guarantees a successful project and long lasting floor.